WE DO IDENTITY DEVELOPMENT, BRANDING, WEB, E-COMMERCE & DIGITAL PROMOTION. At Brand Core Media, we firmly believe that the success of brand communications is largely depends on how you communicate and represent your brand to others. And this is where we help organizations and brand owners to build perfect brand image through creative design and internet marketing solutions. Our process is simple and very much focused on the result; we never emphasize on creative design too much and make things complicated. Our goal always is to create remarkable experience for stronger brand impressions. At Brand Core Media it is our strong belief that good graphic design and performing website can always play an important role of supporting sales professional. This is an era or internet marketing and the space is wide open for everyone to come and perform the business techniques. There are more and more organizations beyond the boundary and far from the distance are calling now to get the desired product or service at the rate they are looking for. This is where a good graphic design and performing websites comes into an act. It gives your business an extra edge. It helps visitors to get a clear message about what company is offering about how it differentiates from others. To make a difference and draw more and more visitors towards your organization, Brand Core Media offers not just good looking but bespoke and integrated website design solutions in Ahmedabad. 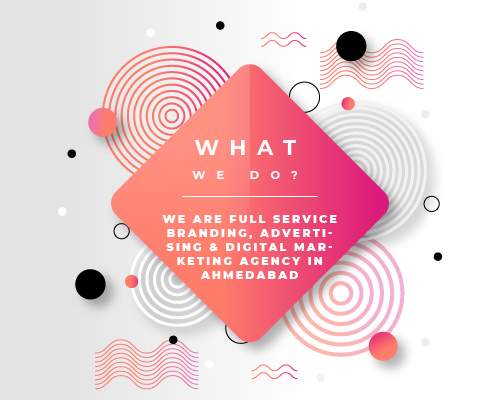 Brand Core Media is Ahmedabad’s top website design and brand development agency offering valued services including logo design, social media marketing, E-Commerce web development and more. All our services are at time and at a budget that you can afford. All our web design and development are bespoke and made on a basis of custom requirements. Our total solutions includes below listed services. Strategic Brand Identity Development: Brand Core Media is Ahmedabad based branding agency and creative design studio. Our team of branding and graphic designers are professional and experienced. Our website design, logo design and other branding solutions are based on the market research, customer analysis and competition study. Below mentioned are some of the top brand identity services that we offer to our customers. Website Design & E-Commerce Web Development: We are one of the leading web design company in Ahmedabad with portfolio of customers from various business horizons. We provide all types of website design and development services including websites for creative requirements, photographers, hospitals & doctors, estate brokers, industrial manufacturers, builders & architects and educational institutions. We also provide web application development from simple to highest level of programming. The added aspect of our website design is that it well structured for search engine optimization friendliness and ready for future changes. Some of our web design services are mentioned below. Internet Marketing: Brand Core Media is established and experienced internet marketing company in Ahmedabad. We provide umbrella of internet marketing solutions that help your brand and organizations to prosper on internet. We provide custom solutions that not only create buzz around your brand but also generate ROI as well. Our internet marketing solutions include below mentioned services. Our procedure for serving customer is simple and easy to understand. At Brand Core Media, we unite productive planning with latest technology and customer oriented approach to create a solution that not only looks great but performs well to exceed the competition and generate ROI.